There’s good news and bad news if you’re a University of South Carolina football fan. 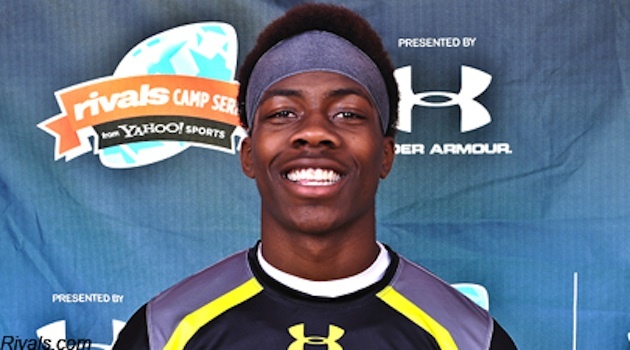 The good news: The Gamecocks just landed a key commitment to its Class of 2015, with Georgia defensive end Arden Key pledging his future to Steve Spurrier’s squad. The bad news? He belittled South Carolina’s academics in an underhanded way while committing, and said that was a key reason he wanted to be a Gamecock. As first reported by Palmetto Sports and brought to Prep Rally’s attention by The Big Lead, Key, a rising junior defensive end Lithonia (Ga.) High, cited USC’s coaching staff as a key reason why he committed to the Gamecocks rather than in-state power Georgia. Yet, he also said that the school’s ability to create an easy road for its athletes as a key reason why he wanted to head to Columbia. "The academic part, it's like you have to try to fail," Key told Palmetto Sports. That probably isn’t the best way for a young prospect to endear himself to a large body of alumni who will, in turn, spend their hard earned money to watch him play. It stands to reason that most of those fans probably spent more time ensuring that they would graduate than Key plans on doing himself. Then again, maybe Key was just misunderstood. Perhaps he meant to cite South Carolina’s tutor program as the key to lifting up players’ academic performance. According to unverified reports, he took a tour of the Dodie Anderson Academic Enrichment Center while visiting the campus shortly before committing, so that actually is a distinct possibility. Yet, if that was Key's intent, it raises secondary questions over whether athletes are students on an equal footing with their classmates if they know they're getting so much help they can't fail. Insulted South Carolina fans may be a lot more forgiving if Key performs as he’s expected to at the next level. After a breakout sophomore season in which he recorded 12 sacks and 58 tackles, the 6-foot-5, 198 pound defensive end will be expected to make an impact rapidly after arriving on campus. An impact on the field of course. Not necessarily the classroom.